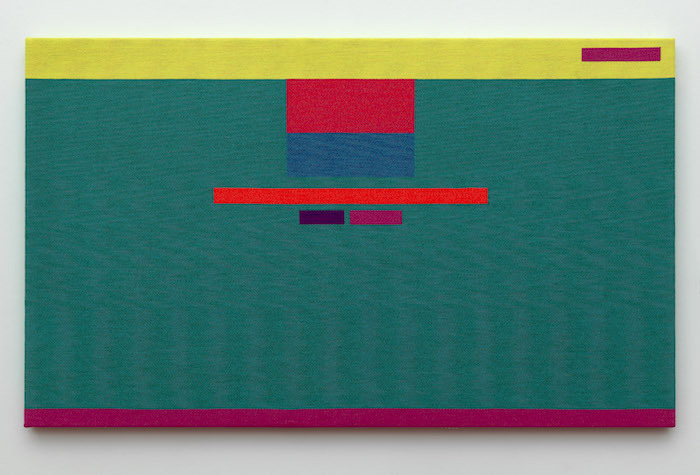 Complex Computational Compositions is the second solo exhibition by Rafaël Rozendaal (1980) at Upstream Gallery. In this last decade Rozendaal has made name with his artworks in the shape of websites through which he reaches an audience of over 60 million unique visitors a year. 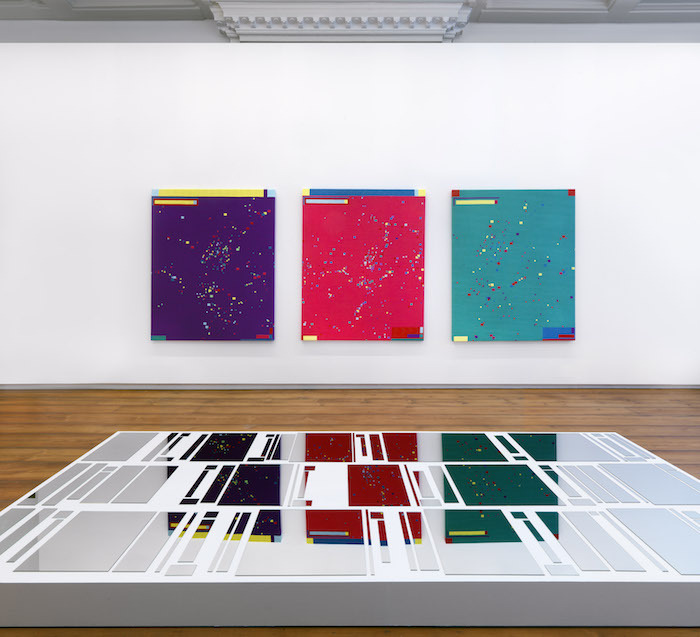 Since a couple of years he also produces physical works – in which the internet is however never far away. 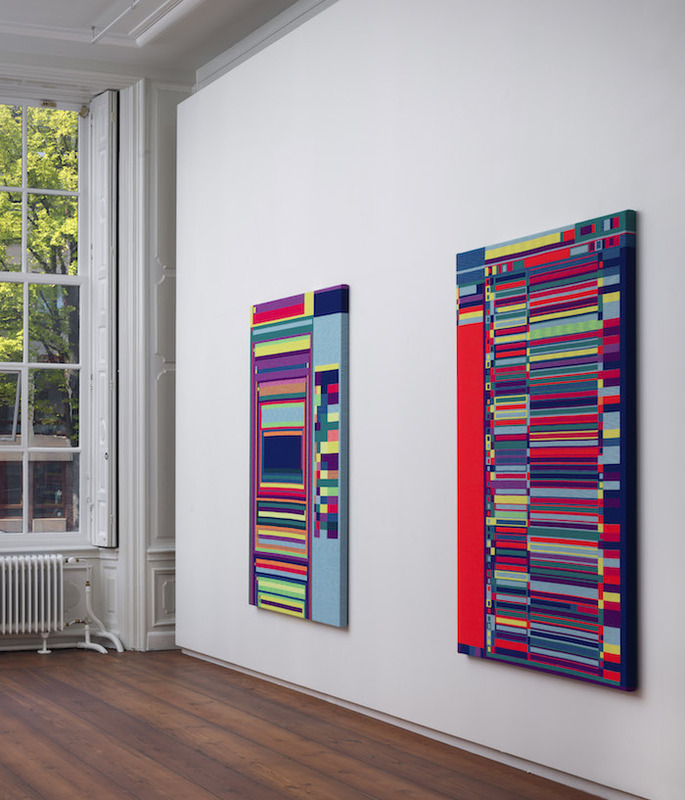 During Complex Computational Compositions, Rozendaal shows new works including tapestries and sculptures. 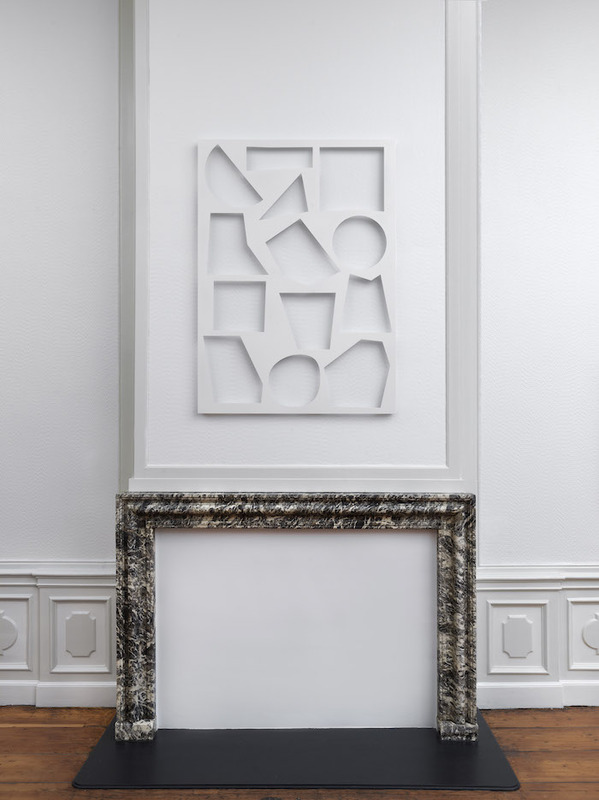 A recurring theme within his body of work is to limit the influence he has as an artist on the final composition of his work. In 2014, Rozendaal developed the plug-in Abstract Browsing. 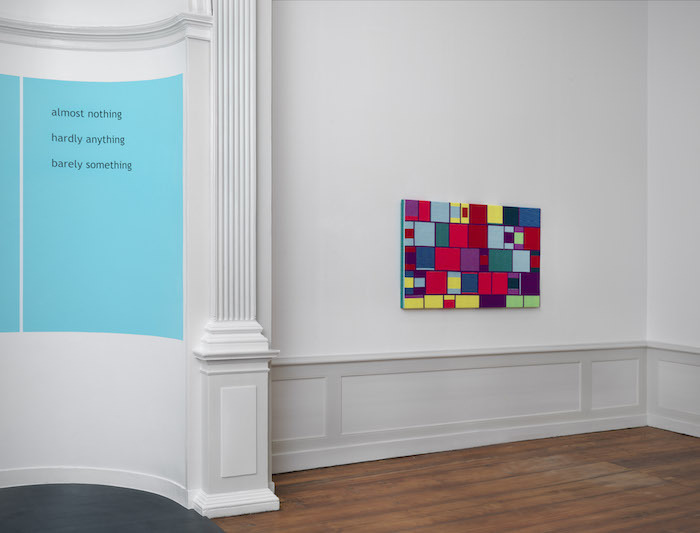 Its code alters information from websites: images, advertisements and text fields are transformed into brightly colored geometric elements. 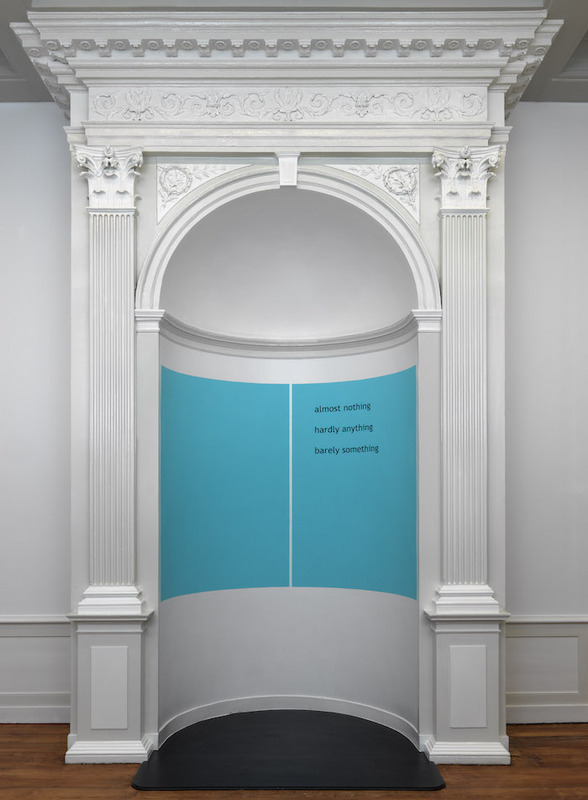 This way, the narrative of the Internet makes room for an abstract composition that reveals the underlying structure of websites. 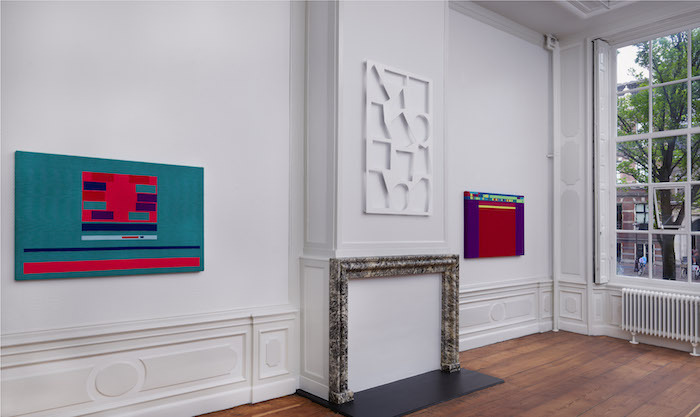 Artforum wrote about these works: Rafaël Rozendaal’s tapestries materially fix the Internet’s fleeting forms into pulsing, vibrant abstractions. 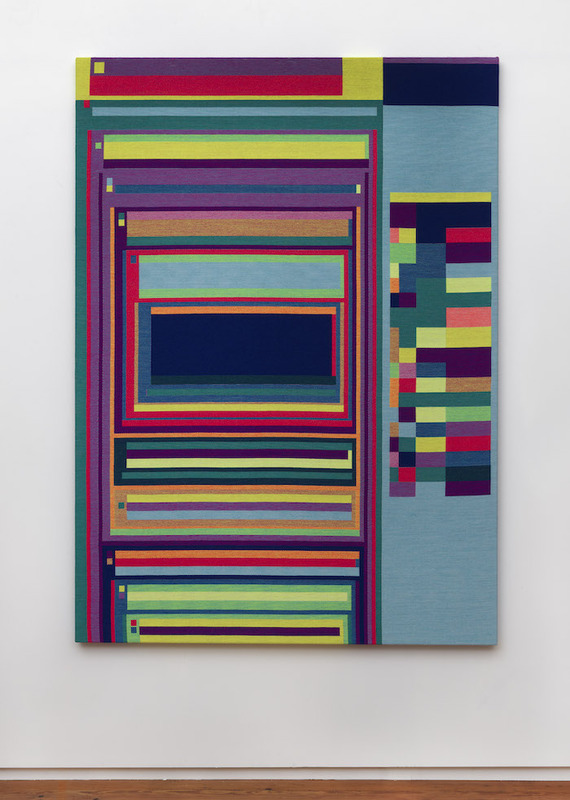 […] Rozendaal’s pieces suggest a conflicted modernist hybrid of painting and tapestry—its historically intertwined relative—echoing works by Anni Albers. The websites that served as the basis for the tapestries are still recognizable. The Google homepage, the Twitter feed. 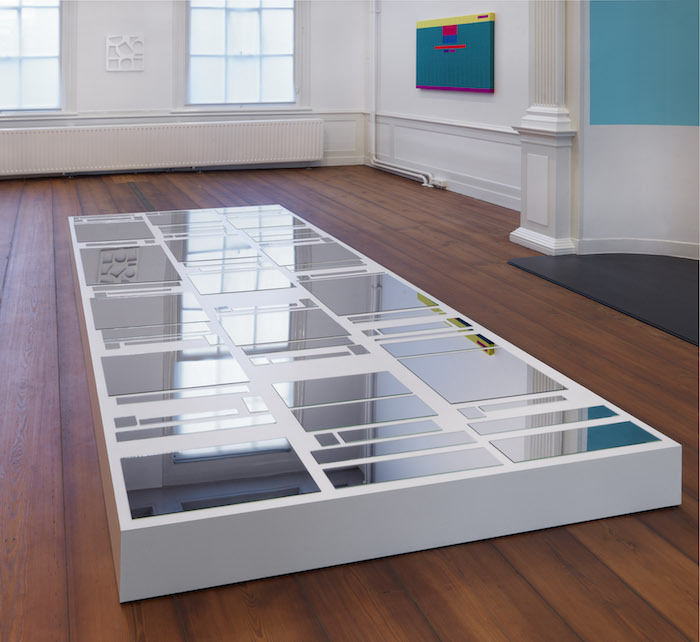 The floor sculpture that is also on show is constructed in the same way: the composition consists of mirrors, based on the layout of Pinterest. 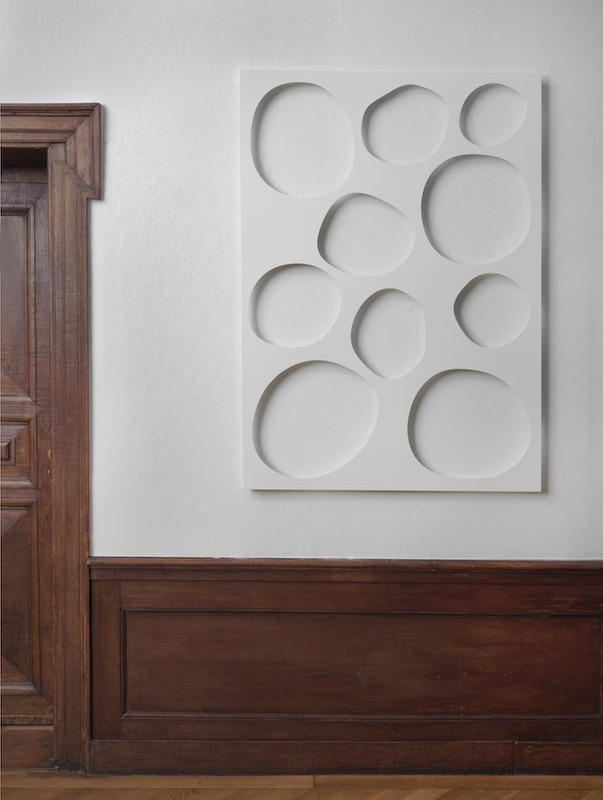 The Shadow Objects series consists of aluminum plates with laser cut geometric shapes. For this, an industrial algorithm is used to calculate the composition that delivers the most efficient use of materials. Just like Rozendaal’s earlier series of lenticular prints, the composition is further influenced by its illumination and the point of view. 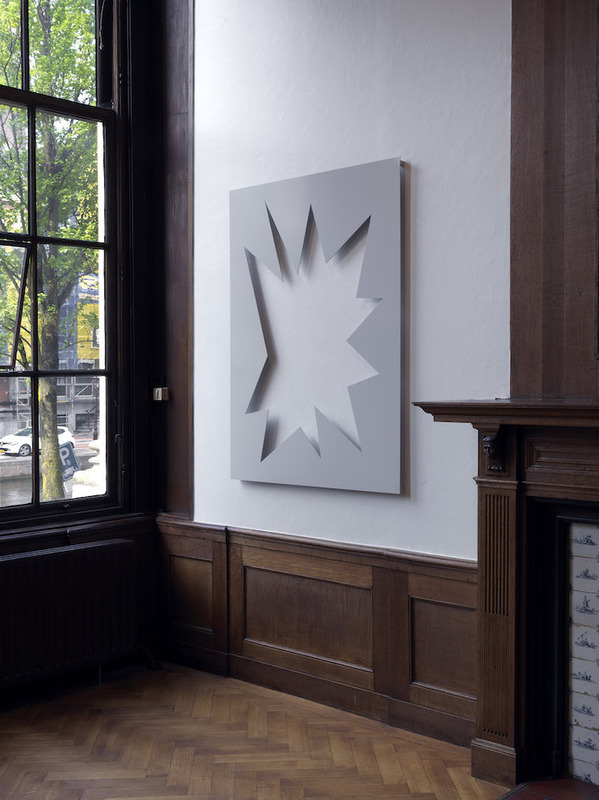 With an emphasis on the dynamic potential of shading, the series can be seen in the tradition of artists like Lucio Fontana and Jan Schoonhoven, translated into the twenty-first century. ‘When people asked what I did in the past ten years, I had a simple answer: I create art in the form of websites. 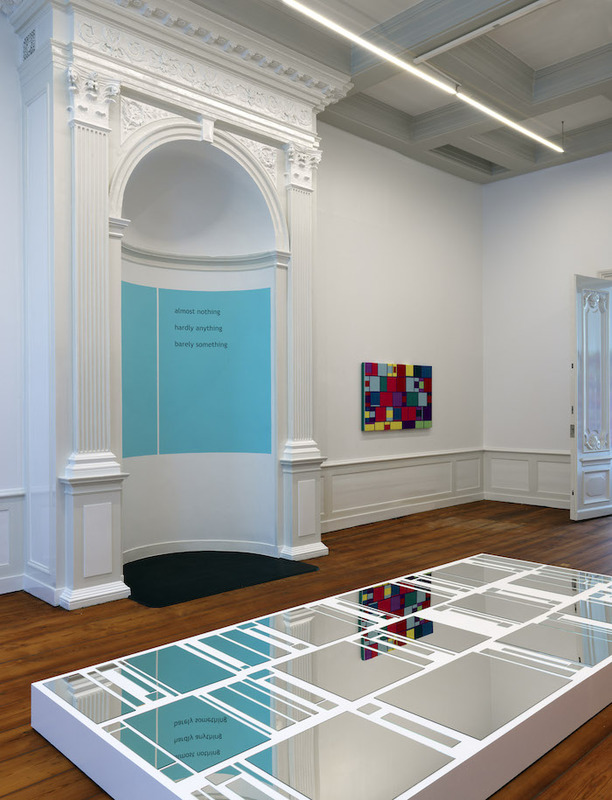 ‘ Nowadays, Rozendaal does much more: his physical and digital works emerge simultaneously and influence each other. 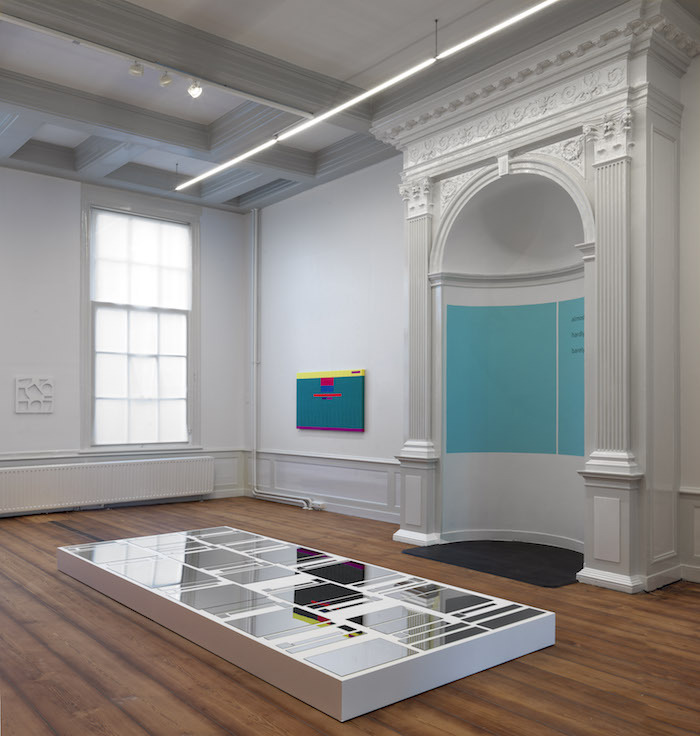 Within that fluid practice, exhibitions constitute important moments: ‘Because I do not have a studio, I almost never see my physical works; in that sense they are more virtual to me than the websites that I can watch at any time. I see gallery exhibitions as an opportunity to examine the materiality of my work and to experience it with a different concentration. 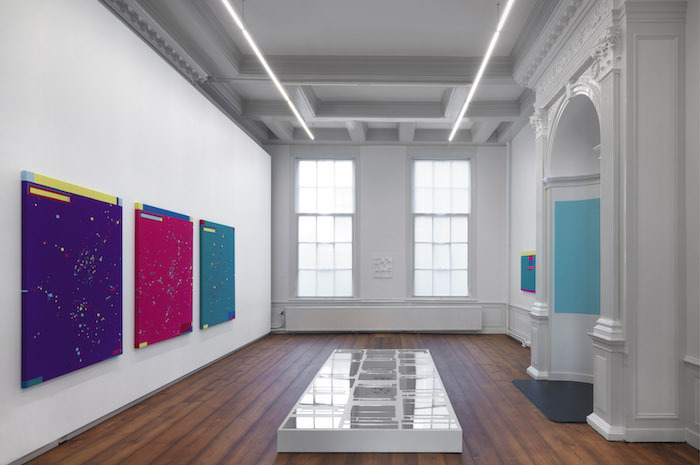 Where the Internet is about distraction, art in a gallery is about introspection, calmness and tranquility.’ Moreover, Rozendaal sees no hierarchy between his websites and physical works. 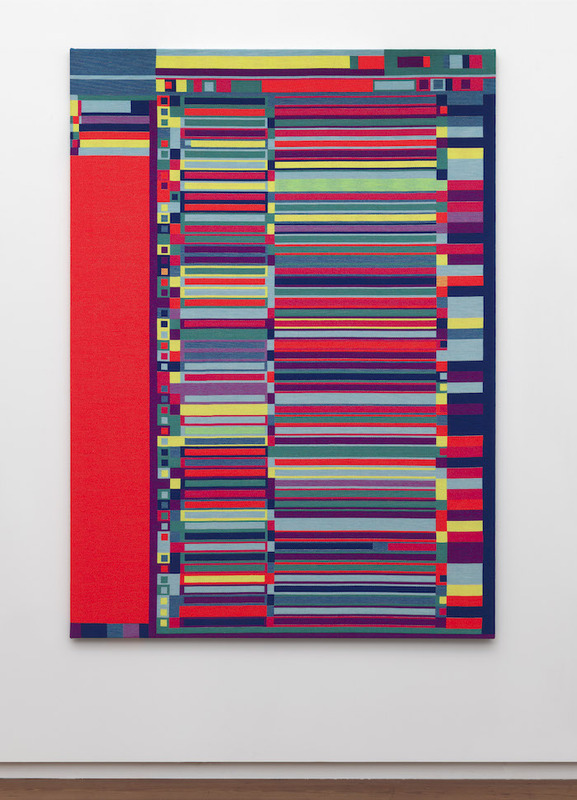 ‘The experience that you have when you are at home using Abstract Browsing on your computer is as authentic as viewing one of the tapestries in a gallery. From my point of view: the Internet is like a waterfall, an exhibition more like an aquarium’.